For the past couple of decades, the South Korean government has made efforts to promote Korean food or Hansik around the globe, with kimchi, bulgogi and bibimbap appealing to a growing number of non-Koreans. The globalization efforts kicked off in 2009 under the former Lee Myung-bak government as a project led by then-first lady Kim Yoon-ok. Although the government has spent over millions of won to promote the country’s cuisine, people in the US and Europe became interested in Korean food only recently. And this happened organically through Hallyu, or the Korean wave, with the help of social media platforms like Facebook and Korean entertainment TV shows, rather than state-sponsored campaigns. 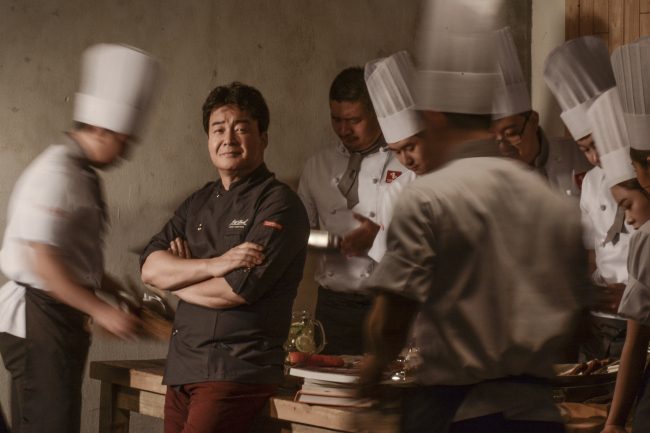 One of the drivers of the growing interest in Korean food is restaurant entrepreneur Paik Jong-won, the founder and CEO of Theborn Korea, a Korean food franchise company that operates 1,300 restaurants under more than 20 chains. “In fact, the reason why I continue to shoot (food and restaurant-related) TV programs is because I want to change people’s perception about running restaurants,” Paik told The Korea Herald in his office located in the middle of the food alley in Nonhyeon-dong, Seoul. Asked why previous efforts to promote Hansik abroad faced challenges, Paik said this was closely related with the level of professionalism in the food service industry. “We lack in terms of the number of (professionally trained) people who work in the food service industry, not to mention how many of them have begun food franchise businesses as a last resort, thinking it is relatively easy to run a restaurant compared to any other business,” he said. According to data released by the government last year, there are over 650,000 restaurants in Korea, with the figure increasing 23.5 percent over the past decade. At least 1.95 million people work in the food service industry, and the industry’s annual growth rate stood at 6.8 percent. “(Running a restaurant) needs to start from one’s genuine interest in food and how much one understands the menu. This enhanced perception of people in the food service industry will naturally lead to globalization of Korean food,” Paik said. “It’s not that Korean food is less competitive compared to other cuisines, but the people who make the food must, first of all, like what they do. Restaurant entrepreneurs need to put in effort, with a correct understanding of the food and also with responsibility,” he added. He also highlighted that consumers have a part to play. “Customers also need to understand how the restaurant and food service industries work. Commonly, people’s understanding about restaurants -- who makes the food and who serves the dishes -- is very low. I wanted to change that by appearing on TV programs like ‘My Little Television’ and ‘Three Great Emperors,’” he said, referring to how people have relatively less respect for those working in these industries. Paik first appeared on “My Little Television” in 2015. He garnered attention by showcasing dishes that used simple ingredients and easy recipes. Many found his persona -- not really caring about calories and focusing on making it good -- to be his distinct charm. His broadcasts helped even those intimidated by cooking to learn the pleasure of making food. Many of the recipes he had shown went viral on social media each time. “It’s important that viewers and customers ultimately realize that cooking can take a long time, and ingredients cost a lot,” he said. Customers need to understand that running a restaurant is serious business, he added. Besides appearing on food shows on TV, Baek recently decided to bring his business to another level. Theborn Korea, which Baek founded in 1993, is best-known for reasonably priced food, such as jjajangmyun and grilled barbeque, with the aim of making sure that customers get to eat plenty of food that offer joy. This belief has led to the creation of such brands as Saemaul Restaurant, Hansin Pocha and Hong Kong Banjeom. Theborn Korea’s some 20 brands has over 80 outlets overseas in countries such as China, Japan and the US. In 2016, Theborn Korea’s sales reached 174.9 billion won ($155 million), while its operating profit stood at 19.8 billion won. Paik is the biggest shareholder of Theborn Korea with a 76.69 percent stake. Earlier this year, Paik chose NH Investment & Securities as its initial public offering deal manager to work on listing his company. He said going public is part of his plan to create a restaurant franchise incubator that educates and inspires those who wish to work in the food service industry. “Thinking ahead to about 20 to 30 years from now, I need to seriously think about retiring. This means that Theborn Korea needs to decide who takes responsibility when something goes wrong,” he said. When the company goes public, the decision process will take longer as more stakeholders come into play. At the moment, the process of envisioning a new brand, testing and commercializing it involves quick decisions made by him. He added that the IPO aims to change Theborn Korea’s current business model to better serve its franchisees. Mentioning some cases of abuse in which the franchise headquarters demanded franchisees to purchase ingredients at fixed costs, Paik said that he wants Theborn Korea to nurture and inspire franchisees. “I personally believe that for restaurants to prosper in Korea, an environment for franchise restaurants to run their businesses must be established. The headquarters of the franchise restaurants must be able to provide know-how and run incubating programs sot hat those who really want to run a restaurant can make their dreams come true. This is what Theborn Korea is aiming for,” Paik said. “If food franchises are already doing that, why would so many franchisee operators quit within two to three years? Most of them are inexperienced franchisee operators. An incubating system for them should begin with asking themselves why they want to do this business,” he added. 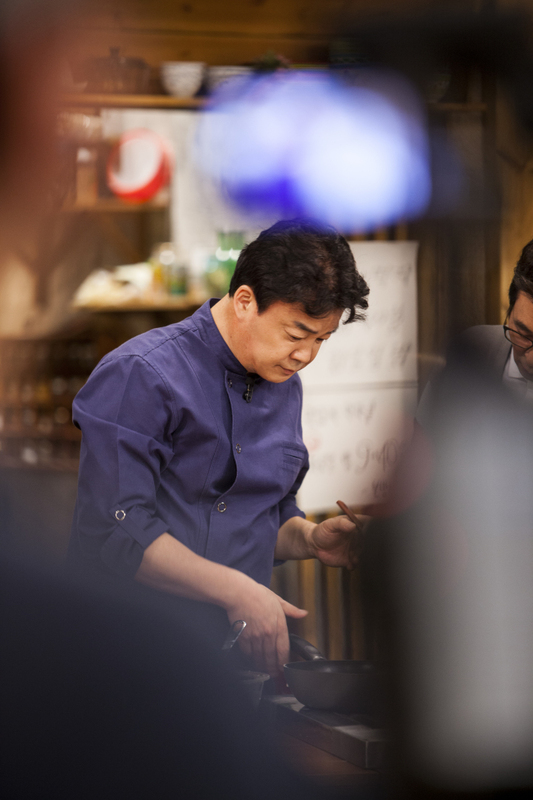 “As I shot the TV program “Paik Jong-won’s Alley Restaurant,” I learned that so many want to become the next Paik Jong-won. I decided that it may be my role to help them out and teach them one by one, to achieve what they want,” he added.